Teammates can get ready for practice or games together, seated on Penco locker room benches. Ample 60" length provides seating for multiple athletes, but is short enough to fit in smaller spaces. Locker room benches provide a great space for arranging gear and pre-game pep talks. With benches like these, athletes will want to spend a little extra time suiting up. These benches will make locker rooms both attractive and professional. The hardwood tops of these locker room benches rest on heavy duty steel pedestals for enduring comfort and quality. Clear lacquer finish on selected hardwood adds an element of style. Student athletes work and play hard, so they deserve to get ready for the big game in an exceptional space. 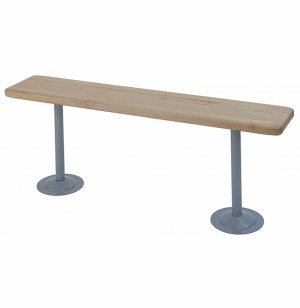 Tough enough for quarterbacks yet roomy enough for putting on toe shoes, these locker room benches are the perfect solution for any athlete. Hallowell's tradition of quality began in 1903 and continues until the present. Innovative designs and premium materials make Hallowell school lockers among the most durable available anywhere. Durable: Bench pedestals consist of heavy-duty steel tube welded to top and bottom flanges. Pedestals must be anchored to the floor. Attractive: Lacquer finish on selected hardwood bench tops gives these benches a sleek and attractive appearance. Spacious: Sturdy 9½" deep and 1¼" thick bench tops provide ample space for athletes to sit and suit up. Easy Cleaning: Bench pedestals and hardwood tops are easily wiped down and sanitized. 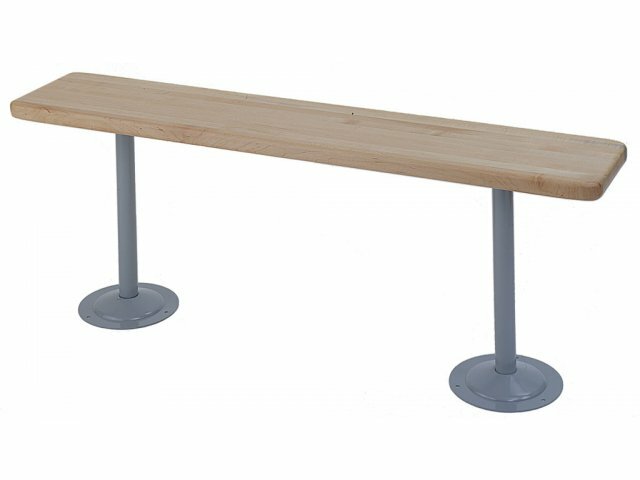 Versatile: From ballerinas to baseball players, these benches are suitable for any athlete.